Import Racing secured Lot 417 from the NZB Ready To Run Sale, a real powerhouse of a horse! 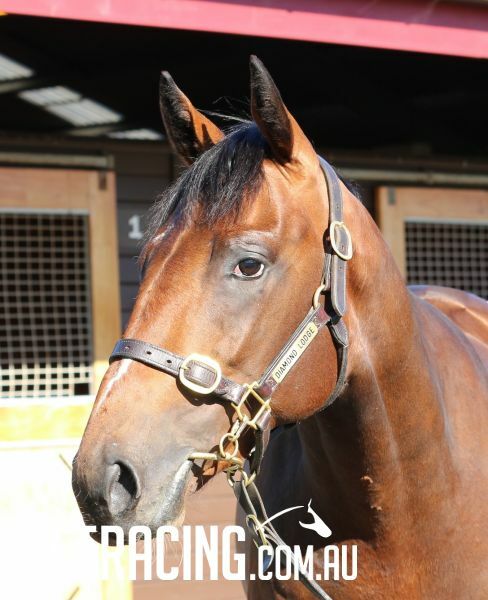 The colt is by one of the most sort after stallions in recent times, TAVISTOCK, multiple Group 1 winner and sire of 4 Group 1 winners including Victoria Derby winner TARZINO, trained by Mick Price himself. Below are a couple of links to view footage of him parading and of his slick breeze up in 10.85s (200m) on a soft 5. As you will see, this is one serious horse! He is a real powerhouse of a horse. Big and strong, yet so fluent and graceful in his action. He breezed up ever so comfortably over 200m in the slick time of 10.85 on a soft 5 track. For a horse bred to stay all day, that added speed will be lethal! He is as close to perfect in conformation as you will find in a horse, straight through the hocks, almost perfect knees and pasterns. His x-rays are crystal clear, not a blemish anywhere. And the cherry on top…. he is a half-brother to Group 1 Derby winner HABIBI! They simply don’t come much better than this, and definitely not for the price we paid! In my honest opinion, he should have comfortably made $200,000+ at least! We bought him very late on day 2 and was extremely lucky that many buyers had already left by that stage. I’m sure you can tell I’m very excited but I’m sure you will see why. I think you will agree this colt is simply outstanding! Share price includes, Purchase Price plus GST, All sales related expenses (vets etc. ), Agistment & Pre-Training (up to 31/01/19, Horse Flight and Importation Expenses, 12 months insurance etc. AT THIS PRICE, SHARES WON'T LAST LONG!! 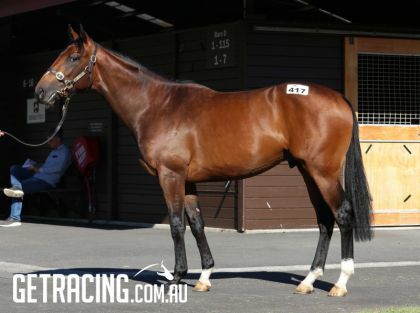 Contact Import Racing today to secure your share in this RIPPING COLT! TAVISTOCK (NZ) (Bay 2005-Stud 2010). 6 wins-1 at 2, Waikato Draught Sprint, Gr.1. Champion Sire in Hong Kong in 2015-16. Sire of 277 rnrs, 176 wnrs, 17 SW, inc. Werther (HKJC Audemars Piguet Queen Elizabeth II Cup, Gr.1), Tarzino, Tavago, Volkstok'n'barrell, Tavidream - Circuit Glory (H.K. ), Hasselhoof, Tomelilla, Hiflyer, Gobstopper, Pacorus, Infantry, Avisto, Longchamp, Nymph Monte, Won Won Too, Tavy, Titanium, SP Tavisan, Milseain, etc. HABIBI (f by Ekraar (USA)) Champion 3YO Filly in NZ in 2012-13. 7 wins from 1200m to 2400m, US$135,776, NZ$602,575, A$67,500, New Zealand Derby, Gr.1, ARC Great Northern Guineas, Gr.2, Championship S., Gr.2, Woodbine Flaming Page S., L, 2d Woodbine Northern Dancer Turf S., Gr.1, 3d ATC Vinery Stud S., Gr.1, ARC Avondale Guineas, Gr.2, Gulfstream Park Suwannee River S., Gr.3, 4th Australian Oaks, Gr.1, Gulfstream Park La Prevoyante H., Gr.3. Honest (g by Ekraar (USA)) 2 wins at 1800m, 2200m, Singapore TC Class 5 H.-twice, 2d Singapore TC British Association Gallop H., Class 5 H.-twice. 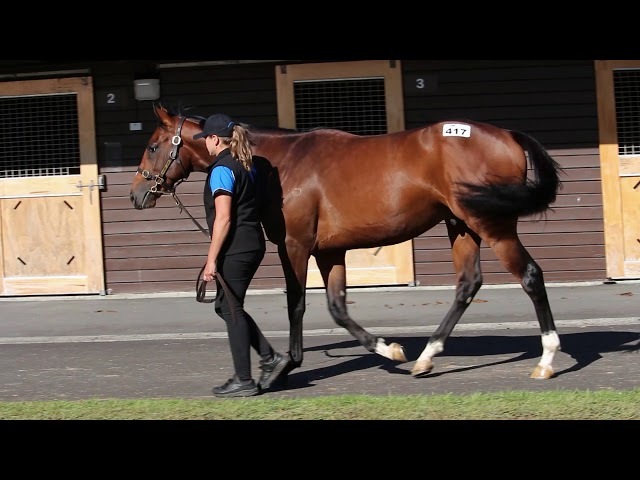 Highway to Heaven (g by Echoes of Heaven) Placed at 3 in NZ. Vicente (g by Mr. Nancho (ARG)) Placed at 3 in NZ. Barborough. 4 wins at 1400m, 1600m, AJC Dewars H., BOP RC Bay-Print H., 2d ARC Derby Prelude, AJC Bacardi Breezer H., STC Nivea Visage H., 3d STC Woolworths Fresh Magazine H.
Gold Glow. 2 wins at 1400m, 2000m in NZ. Danny Holiday. Winner. See above. Classianda. Winner at 1400m in NZ. KEEP AWAY (g Air Jihad) 13 wins from 1200m to 1800m, S$1,011,050, Singapore TC Committee's Prize, L, Kranji A S.-twice, Lim's Classic S., Open H.-4 times, Kranji B S., Kranji C S., IMC Community Cup, Japan Racing Association Trophy, Class 4 H., 2d Singapore TC Kranji A S., Hello Portugal S., Open H., Benchmark 83 H., 3d Singapore TC Jumbo Jet Trophy, L, Singapore 4YO Mile, L, Causeway Classic, Kranji A S.-twice, Thundering Jet H., Open H.-twice, Class 2 H., Graduation H.
BOLD MIRAGE (c Senor Pete) 10 wins from 1300m to 2400m, A$340,529, WATC CB Cox S., Gr.2, Canning Times Community Welter H., Broome Cup, WATC Durham Lodge H., Rosemount Estate Wines H., Sweet Saga H., Ideal Centreman H., Pinjarra H., 2d WATC Tattersall's Cup, L, Belmont Classic, L, Healthy WA H., Waterside Health & Fitness H., Bankwest Agrione Package H., BMW 5 Series H., Michael Stroud Memorial H., Count Stook H., 3d WATC Perth Cup, Gr.2, Ascot Gold Cup, L, Belmont Park Cup, L, Helena Vale Cup, L, Belmont Guineas, L, Port Jackson H., Advanced Hotwater & Air Welter H., Manhattan H., Insulation Solutions H., Northam Cup, WATC Red Eye Special H., Kendel Star H., 4th WATC Ascot Gold Cup, L, Anniversary Cup, L, GA Towton Cup, L.
Digger 'n' Dealer (c Lord Ballina) 4 wins at 1600m, 2200m, WATC Ascot Waters H., Indian Shell H., Bukit Timah H., 2d WATC Leading Apprentice H., Budget Minibus H., 3d WATC Dayana S., L, Family of Man H., Leake H., Ray White H., 10th Birthday H., 4th WATC Belmont Park Cup, L.
Dark Image. 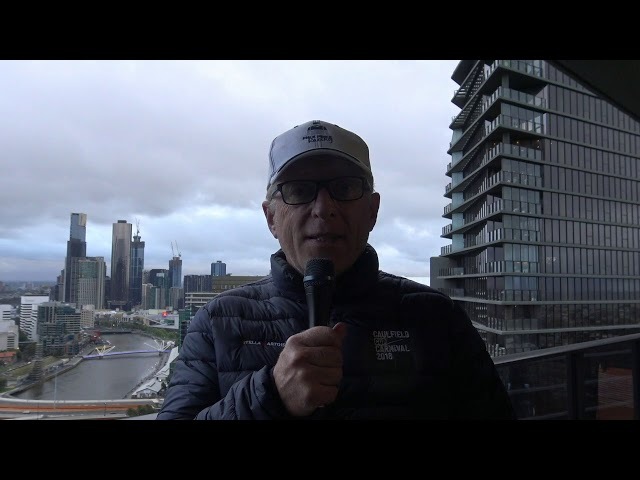 4 wins from 1400m to 2200m, WATC Snapshot H., Fruit'N Veg H., EM Fruit N Veg H., 2d WATC Hispano H., Harwood H., Indian Shell H., Sandford H., Champions H., 3d WATC Champs Eatery H., Qantas Viva! Holidays H., Hey Cabby H., Rosette H.
Velvet Song. 3 wins at 1200m, 1600m, VATC Knoxfield H., 2d VRC Simmering H., VATC Denises Joy H., Glenferrie H., Coles New World H., 3d VATC Fosters Lager H., Portsea H. Producer.